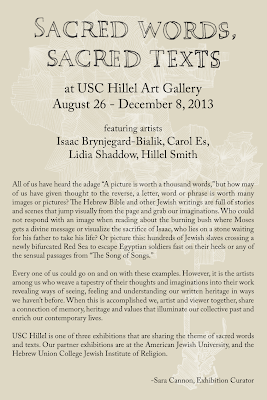 Isaac Brynjegard-Bialik: Nice Jewish Artist: Sunday! 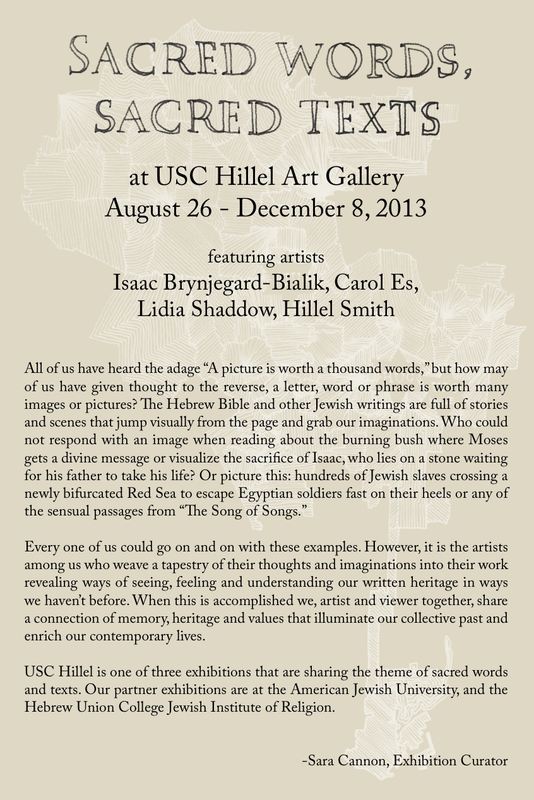 Sunday! Sunday! 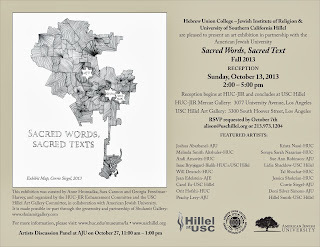 I look forward to seeing you in Los Angeles at the opening reception for "Sacred Words, Sacred Texts" – Sunday, October 13, from 2 to 5 pm. 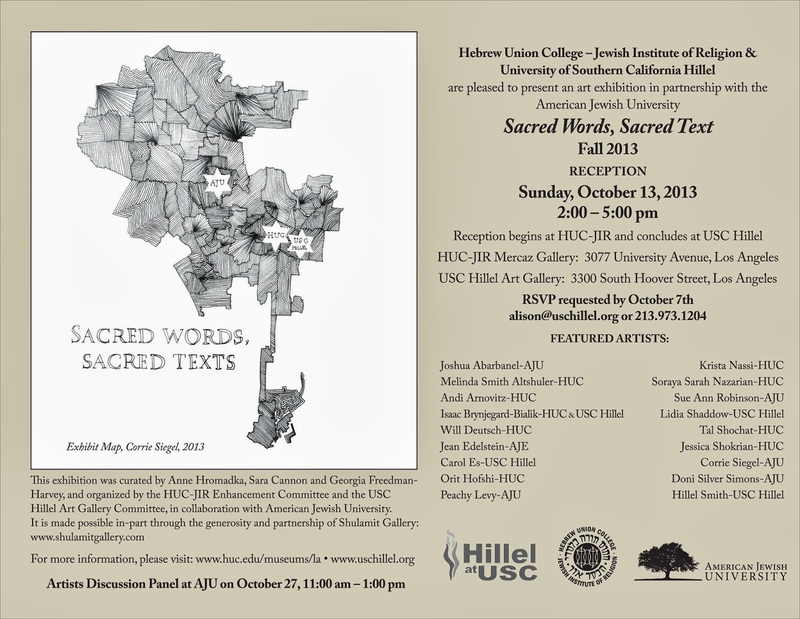 The reception will commence at Hebrew Union College (plenty of parking available) and we will walk over to USC Hillel around 3:15pm. Happy Tenth Anniversary, Disney Hall! Adath Jeshurun entryway commission complete!